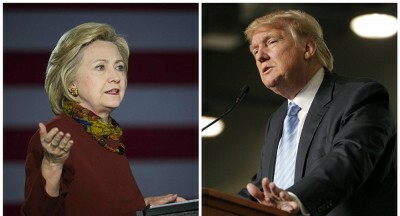 Clinton-Trump Debate: A Degrading Spectacle. The first debate between Hillary Clinton and Donald Trump was a political and cultural abomination. It demonstrated, in both style and substance, the thoroughgoing decay of American capitalist society over many decades. It says a great deal about the US political system that, out of 330 million people in America, the choice for president has been narrowed down to these two individuals, both members of the financial aristocracy—they last met face-to-face when the Clintons attended Trump’s third wedding in 2005—and both deeply and deservedly hated by a large majority of the population. There was not the slightest intellectual substance or reasoned political content to the so-called “debate.” No topic was addressed with either intelligence or honesty. Both candidates lied without effort or shame, slinging insults and prepared one-liners against each other while posturing as advocates of working people. The capitalist two-party system in America has never put a premium on intelligence or truth. It has always been based on politicians who represent the interests of a narrow stratum at the top of society, while pretending to speak for all of the people. But by 2016, this pretense has lost all credibility. Clinton is the personification of political gangsterism, deeply implicated in the crimes of American capitalism over a quarter century, from the destruction of social welfare programs, to the criminalization of minority youth, to the launching of imperialist wars that have killed millions. At one point in the debate she declared that her strategy for defeating ISIS was focused on the assassination of its leader, Abu Bakr al-Baghdadi. She alluded to her role in “taking out” Libya’s Muammar Gaddafi and said she would make such killings “an organizing principle” of her foreign policy. Clinton came into the debate as the favorite of the media and the American ruling elite, a tested servant of the financial aristocracy who can be relied on to serve as the political figurehead for the military-intelligence apparatus. She found her voice in the event as the representative of identity politics in the service of imperialism, making repeated appeals along racial and gender lines while threatening Russia with war and presenting the crisis in the Middle East as something that could be resolved by killing the right people. Trump has attracted support by appearing to give voice to anger over the catastrophic decline in the social position of working people, citing plant closings, mass unemployment, rising poverty, the deterioration of roads, schools, airports, etc. But he offers no solution except the elimination of every restraint on the operations of big business: slashing taxes on corporations in half and scrapping business regulations. The media apologists of the Democrats and Republicans blabbed both before and after the debate about the need for fact-checking of the candidates. But the entire debate was a lie, from beginning to end. The falsehoods uttered by Trump and Clinton are picayune compared to the overarching lie that these candidates offer a genuine choice to the American people. Whatever the outcome of the election, whether Donald Trump or Hillary Clinton replaces Barack Obama in the White House, the next administration will be the most reactionary government in the history of the country, committed to a program of imperialist war, social austerity and attacks on democratic rights. The task of the working class is to prepare itself politically for the struggles that will be generated by the drive to war and the deepening crisis of world capitalism.